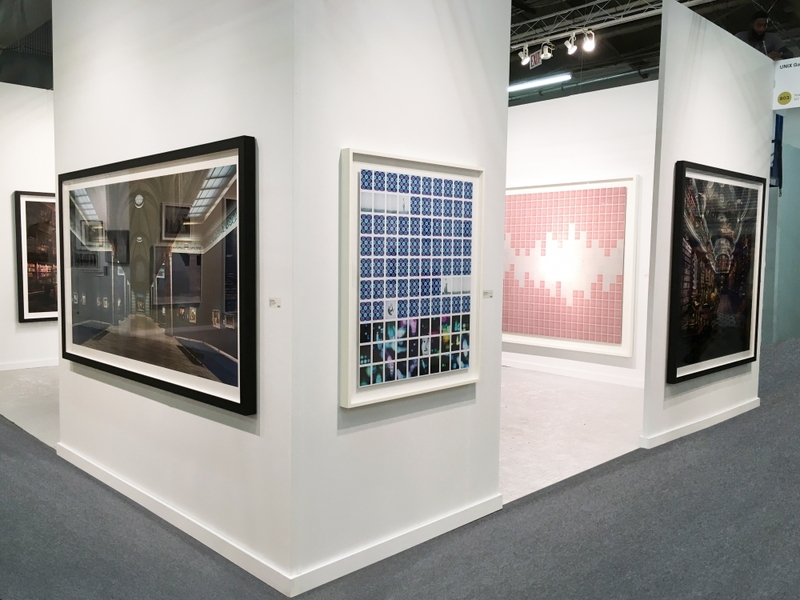 UNIX Gallery is excited to announce our participation in the 37th edition of The Photography Show, presented by AIPAD, the longest-running and foremost exhibition dedicated to the photographic medium. From March 30 - April 2, 2017, this highly anticipated event will be held at Pier 94 for the first time. This also marks UNIX Gallery’s inaugural participation in The Photography Show. The Photography Show is open to the public from 12 - 8 PM daily from March 30 through April 1, and from 12 - 6 PM on April 2. A Vernissage VIP preview will be held on March 29 with early access entry from 2 - 5 PM, followed by a Vernissage public viewing from 5 - 9 PM. The newly expanded Show, organized by the Association of International Photography Art Dealers, will present exceptional photography from early masters, modern luminaries, and rising and established contemporary names. UNIX Gallery will proudly be featuring works by contemporary photographers John Messinger and Christian Voigt. From a spectrum of artistic approaches, this duo incorporates traditional and experimental photographic processes and concepts to produce images that invite us into a spatial experience of rich dimensionality and depth. Immersing viewers among such monolithic works, Messinger and Voigt uniquely examine the construction of space, narrative, light, and grandiosity within contemporary photography. American photographer John Messinger explores the proliferation and ubiquity of photography by combining hundreds of individual instant photographs into a single photographic tapestry. Mesmerizing, luminous, and atmospheric, these works amass and consider the effects of subtle tonal variations that render a grand photographic plane. Inspired by the notions of singularity and time, Messinger combines hundreds of individual images and transforms them into a single experience. The works “are bound by a process, psychic and intellectual, rather than a program,” critic Lyle Rexer explains of the artist’s method. “The result is a group of discrete physical photographs, each unique and unreproducible, organized into a pattern but not an obvious sequence.” Messinger’s photographs fuse indexical and abstract imagery to question the notion of photography, photographer, and subject. Christian Voigt is a German photographer, known for his impressive images created using large-format cameras. Voigt has photographed great libraries, museums, landscapes and temples. Through his lens, Voigt captured mankind’s extraordinary buildings and architecture. “The intensity of the image, or of what one perceives as being alienated, is the result of Christian Voigt’s camera technique,” explains art critic Simone Simon of Voigt’s work, finding “his own form and his unique style by experimenting with the proven technique of multiple exposures.” Voigt offers an illuminated tenor, delivering with his photography an inescapable sense of history and verve.